Critical State, is a film critic's residence, heading to its 4th Edition. Considering critique as one of the most important ways of prolonging the cinematographic experience and believing that the experience of the frontier should not be restricted to the exhibition of films, the Fronteira, since its first edition, intended to build an atmosphere of permanent debate and reflections. In Critical State, cinematographic experience takes the form of an imaginative opening for the diversity of forms and themes of contemporary cinema. The residence will be coordinated by critics Ela Bittencourt film critic and programmer and Victor Guimarães critic in Revista Cinética since 2012, which through the programme of the 4th edition, will propose discussions and debates guiding the participants beyond seminal questions on contemporary cinema. At the end of the residence, texts produced during it will be transformed into an e-book to be available soon after the festival on this website. 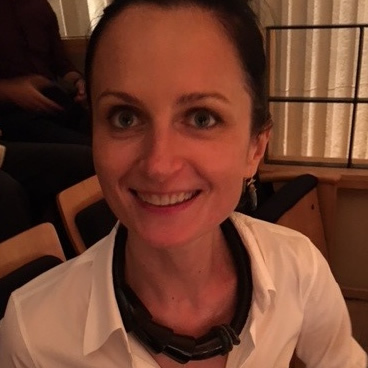 Ela Bittencourt is a film critic and programmer, currently based in São Paulo. Her articles on cinema and art appear in international publications, including Artforum, Art in America, Film Comment, Frieze Magazine, Hyperallergic and The Village Voice. Bittencourt acts as program advisor for the Sheffield Doc/Fest and serves on the selection committee for É Tudo Verdade International Documentary Film Festival. She has curated retrospectives in the United States (at True/False Film Festival and at the Museum of Moving Image/ MoMI, New York) and in Latin America (at the International Film Festival of São Paulo, CineSesc and CCBB São Paulo, and at the Institute Moreira Salles, Rio de Janeiro) and has participated in a number of other Latin American festivals, as juror or panelist, including FICValdivia (Chile) and FICUNAM (Mexico). She’s been invited as a guest to the 2018 Courtisane Film Festival in Brussels, Belgium, through the Flanders Arts Institute curator program. Victor Guimarães has been a critic in Revista Cinética since 2012, also collaborating with magazines such as Senses of Cinema (Australia), Desistfilm (Peru) and La Furia Umana (Italy). He was a professor at UNA University Center, Positivo University and Vila das Artes. 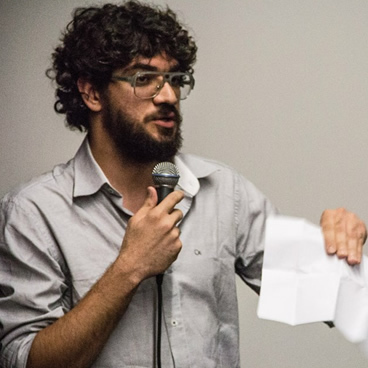 He was one of the coordinators of FestCurtasBH (2014), member of the selection commissions of forumdoc.bh (2012 to 2015) and programmer of exhibitions such as Saboteurs of Industry (BH), Argentina Rebelde (RJ) and L.A. Rebellion (Recife). He is the author of Hip Hop and the Political Intermittency of the Documentary (PPGCOM / UFMG, 2015) and organizer of Doméstica (Devia, 2015). PhD in Social Communication from UFMG, with a degree from the Université Sorbonne-Nouvelle (Paris 3).